Yesterday, the vernal equinox, my friend Lauren came over and made her take on Kundalini Yoga’s golden milk, Golden Milk Cocoa. 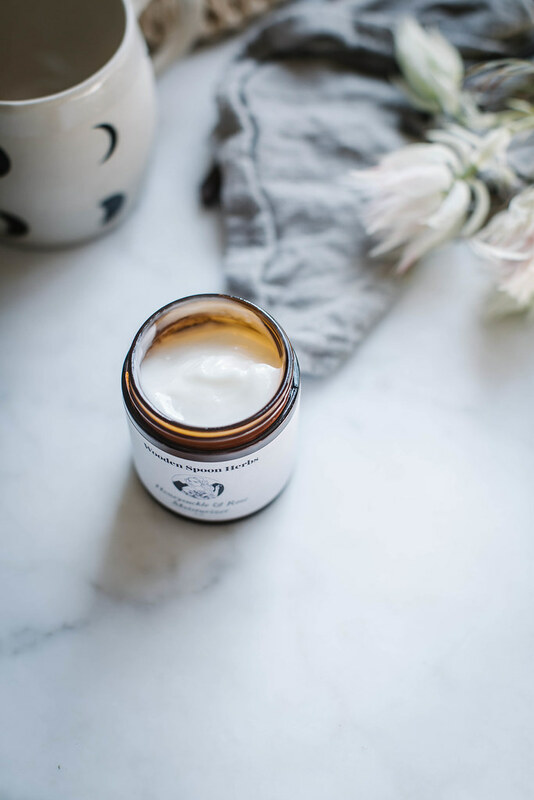 Laced with turmeric, ashwagandha powder, and a swirl of either coconut oil or ghee, it’s energizing, cleansing, and restorative. 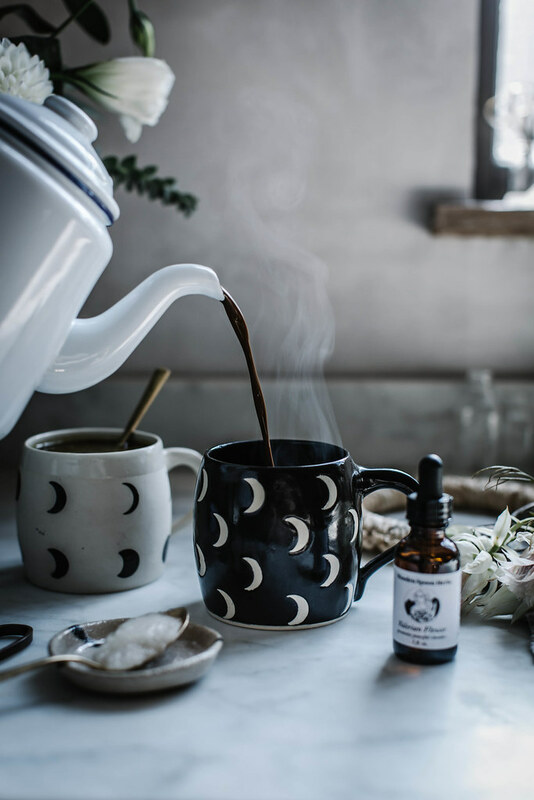 An Appalachian folk medicine revivalist, avid forager, and a talented apothecary Lauren Haynes is the woman behind the Chattanooga based Wooden Spoon Herbs, her line of handmade & foraged teas, bitters, oils, salves, lotions, and all manner of other goods. Her valerian flower drops and rose & honeysuckle cream live on my bedside table next to an ever rotating vase of flowers and a half-finished knitting project. You can find those and many other healing products suited for daily life in her store. Made in very small batches by hand, they go quickly so get your hands on them now while they last! 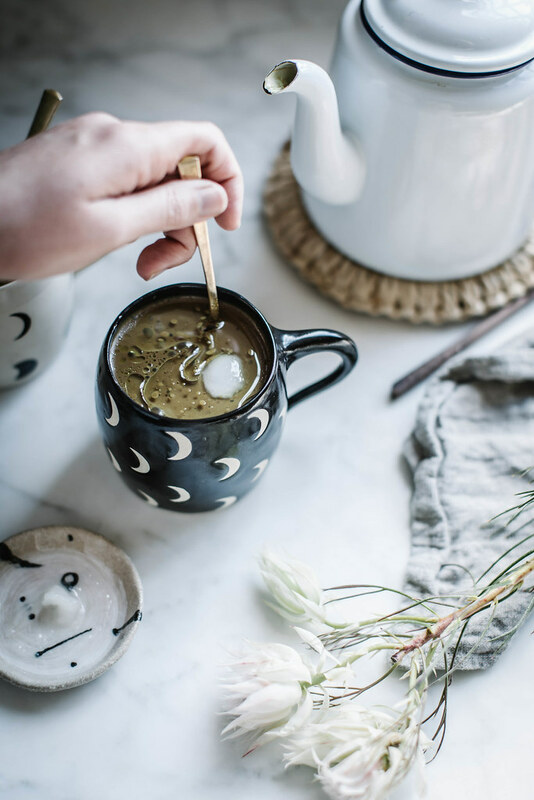 And make sure to enjoy this recipe as we move into autumn and all it’s tremulous, energetic vibrations and most especially during the very special super moon lunar eclipse coming Sunday (first in 33 years)! 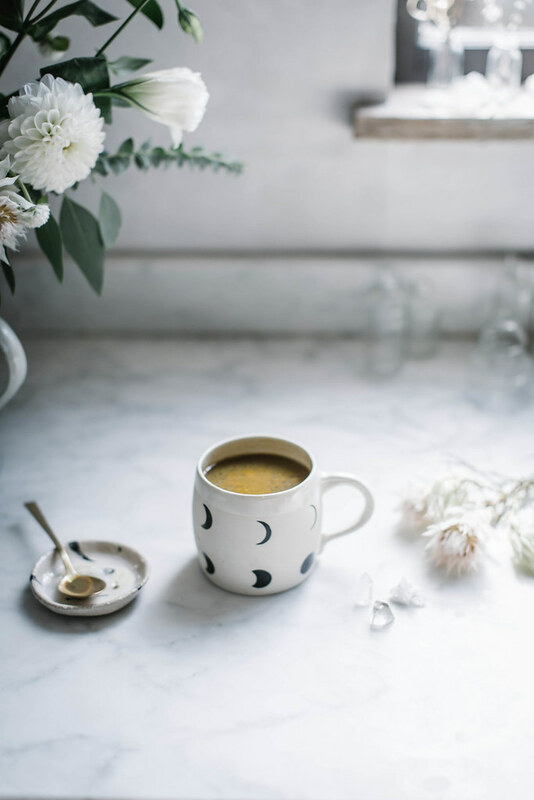 While golden milk is traditionally drunk at bed time, this energizing version is well suited for the morning. She and I both agreed that the stars have had us both a little on edge lately; this is the drink for that. I’ve been drawn to turmeric lately. It’s more than a spice. It’s ancient medicine. Both a powerful anti-inflammatory as well as an antioxidant, this root imparts a warm notes of bitter ginger to everything from this cocoa to soups, dressings, curries, and anything else you could dream up. I’m very fond of it in pumpkin soup, and it makes an already vibrant, warming dish even more so. Which is exactly what it does here. Long used in Ayurvedic medicine, the ashwagandha powder reduces anxiety and cortisol (the stress hormone) as well as improves your ability to focus. 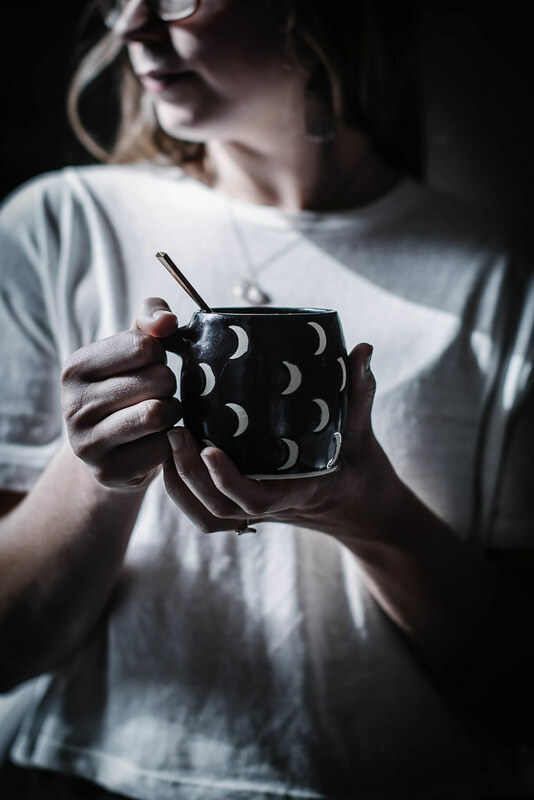 After drinking it and reading about it, ashwagandha going to be part of my daily diet—it tackles my main problems: sleep difficulty, anxiety, and poor concentration. I’m very very big on avoiding pharmaceuticals wherever possible (though also a big advocate of taking them when necessary! ), so I’m always really grateful whenever anyone introduces me to a new, holistic treatment for any symptoms I struggle with. You can find the powder online or in a health food store with a good herbal section (you don’t want capsule form but pure powder). In a saucepan heat the milk until very warm but not simmering. On low heat, whisk the cocoa in to the milk along with the turmeric and ashwagandha powder. 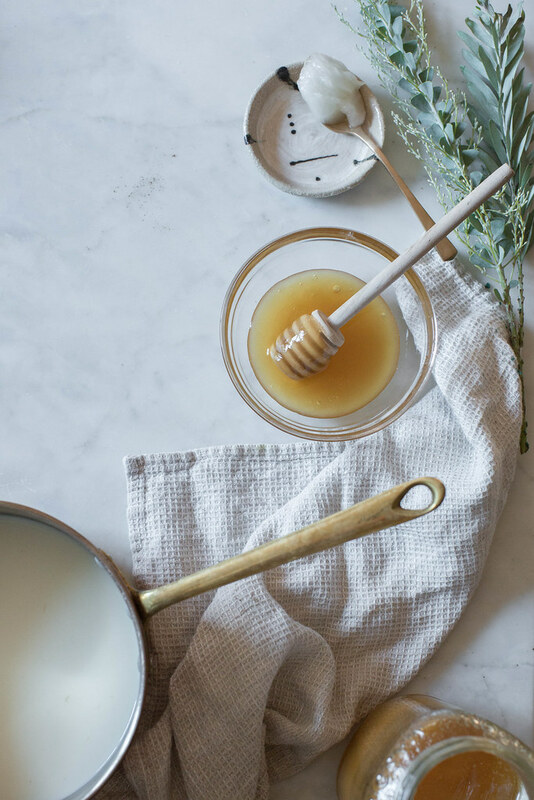 Once it's completely combined, whisk in the honey until dissolved. 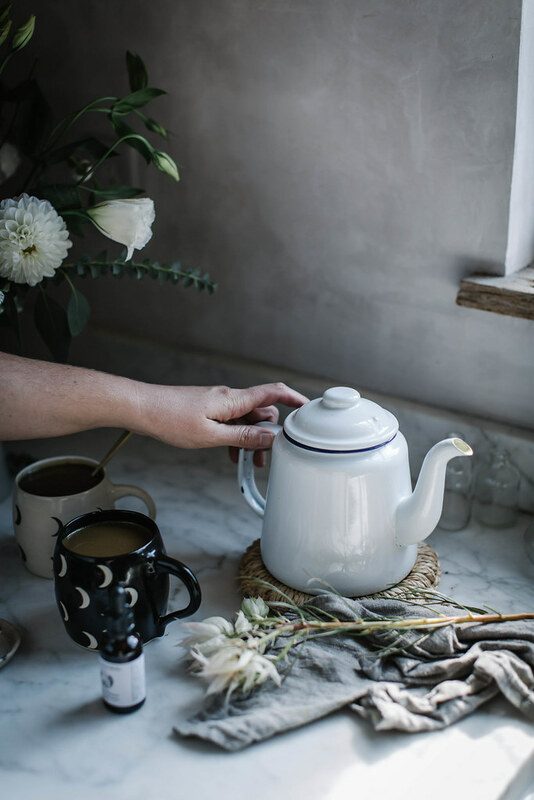 Remove from heat, divide between mugs by either pouring it into a kettle or simply ladling it in, and then stir 1/2 tablespoon of either coconut oil or ghee per cup. The recipe easily doubles to serve more and keeps nicely in a kettle, just give it a good stir if it's sat for long. 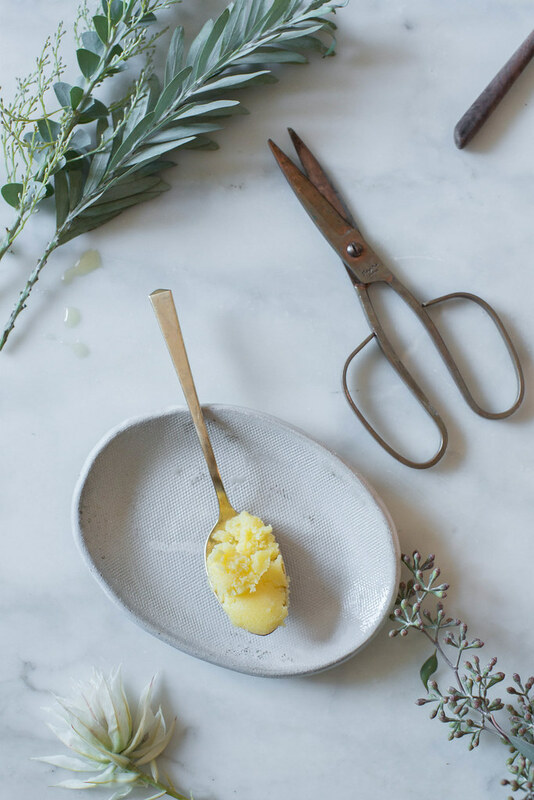 If you can't find the ingredients in your local shops, you can easily order any of them online! This is great! Even though I have a master in pharmacy I believe that we should first seek help in nature (with minor problems of course!) and only use chemical medicine with serious problems and when it’s absolutely needed. Beautiful pictures (as always). And those cups are sooo nice! This sounds so intriguing! I’ve never heard of golden cocoa but I would love to try it! Lovely photos as always! 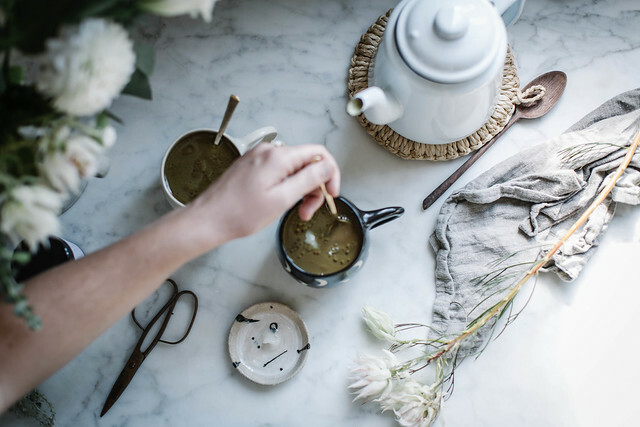 I have stumbled onto your blog through bloglovin and I am stunned by the photography and the content. Going to add myself to your subscriber list now……Thanks for sharing this recipe. Yum! 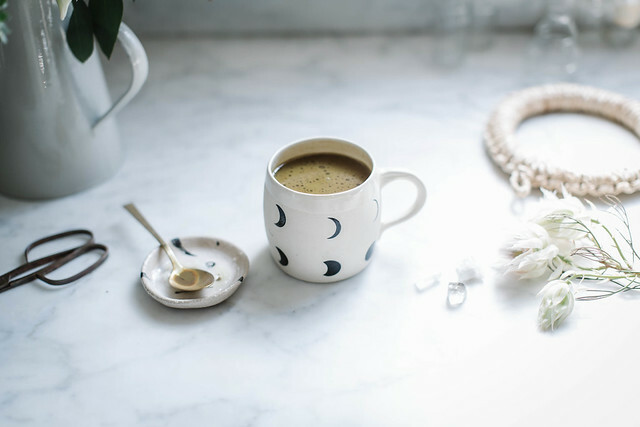 I sometimes make myself a ghee “latte” in the blender with coffee, ghee, and a little honey–this is like a superfoods-charged, decaf version. I’ll have to try it! I hope you two do a Chattanooga workshop. I would love to come! I love Golden Milk and have been using it for years with great effect so I am delighted to find this variation. I would suggest cooking the turmeric for 8-1 mins but no longer, as it makes the turmeric more bio available. Turmeric is notorious for not been well absorbed. I love, love, love your blog ! How cool. Cocoa with purpose. Love this idea. Yum! 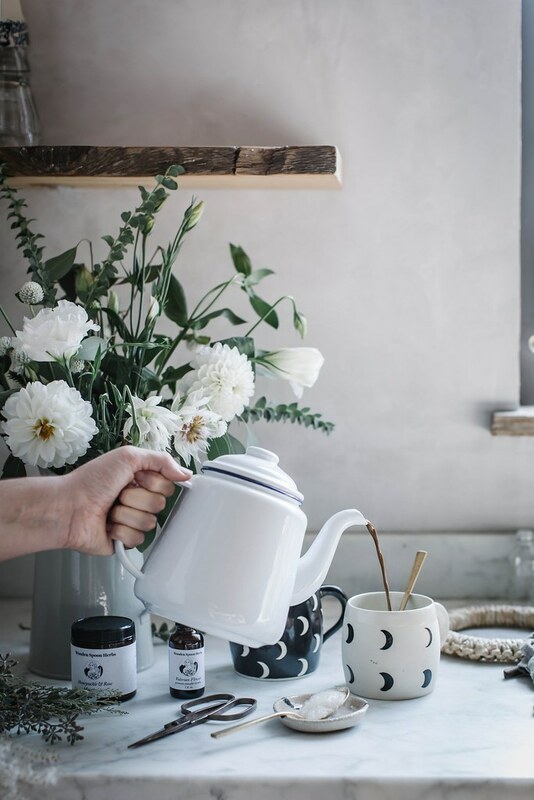 Hi, May I ask where you got these lovely moon mugs? Sounds delicious! I am trying it for sure! And your photos look just amazing, you create this dreamy , timeless atmosphere that is a joy to see. What filter and camera do you use for the photos? Also good recipe, I’m afraid to mess it up, so I won’t try it though. I never was good in mixing stuff.. 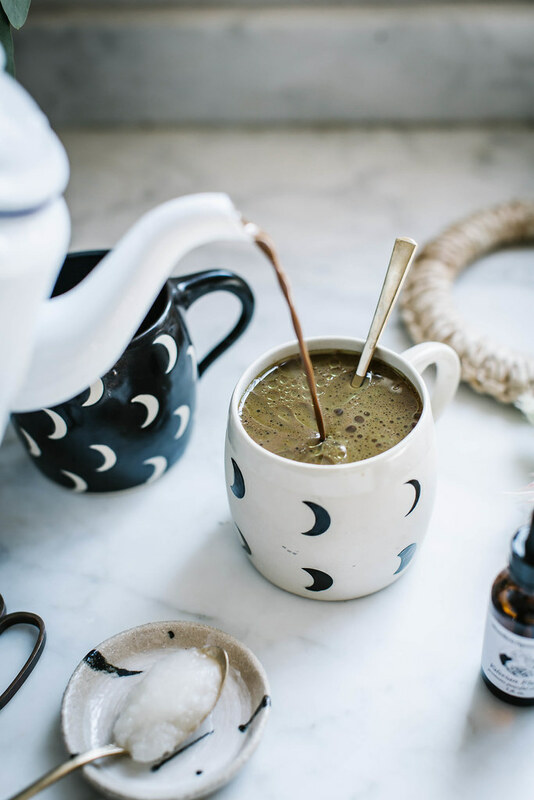 Drinking cocoa has never been so magical….! i must try it out. turmeric has so many health benefits, its fantastic to use it in diet. This blog is a breath of fresh air. It’s wonderful, and I am so very glad of its existence. I have so many questions – but the one at the tip of my tongue now, is what camera do you use for these evocative photographs? beautiful! will try… curious – where are those mugs from? they’re amazing! Hi! 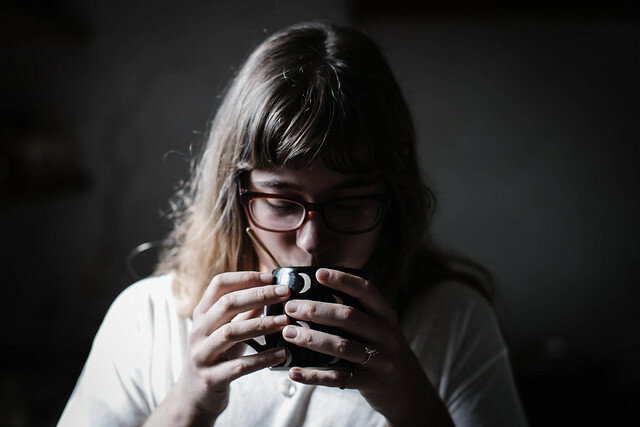 I’m new to your blog and love the photos and your mugs. I am also new to turmeric and just bought my first batch of organic powder. I can’t wait to use it in different recipes. I really want to try this cocoa, since hot chocolate is a favorite of mine. I’m just wondering if this cocoa still will taste good without the ashwagandha powder? Do you only use natural light in your photography… Colors are stunning! I’ve read somewhere that is beneficial to put coconut oil in your coffee, but I’ve never tried it before. It’s something off about this idea and I don’t know why. This may be funny, but my instincts tell me not to do it. Whoaaaa those mugs, those props, those spoons! I love it all. 😀 And this is such an intriguing little drink! anything like this reminds me of the amazing time I had in India, so it’s definitely welcome in my diet. This is a lovely idea and I love your photos also. 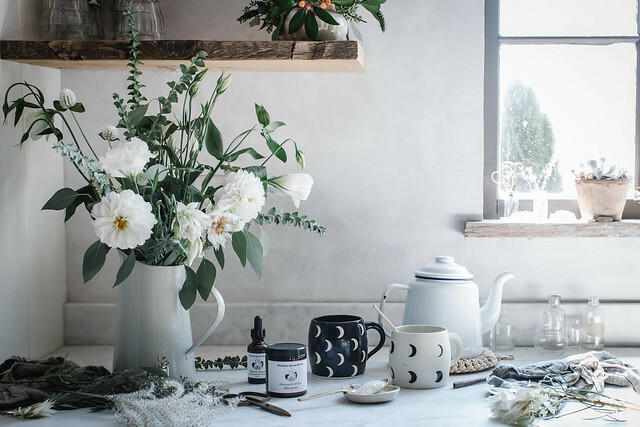 What is the herb/flower in the foreground, on the counter next to your (adorable) mugs? I am shocked that this recipe calls for 1/4 cup of honey per serving. Any potential issues if you’re breastfeeding ? I’m not familiar with the ashwagandha powder. Hi Beth! I saw your post in The Kitchn’s website and as as soon as I saw the ingredients I knew that I’m gonna make it straight after coming back home as everything was already waiting in my cupboard. I used coconut milk from the can what made the beverage much more dense and the dessert-like and I loved it. 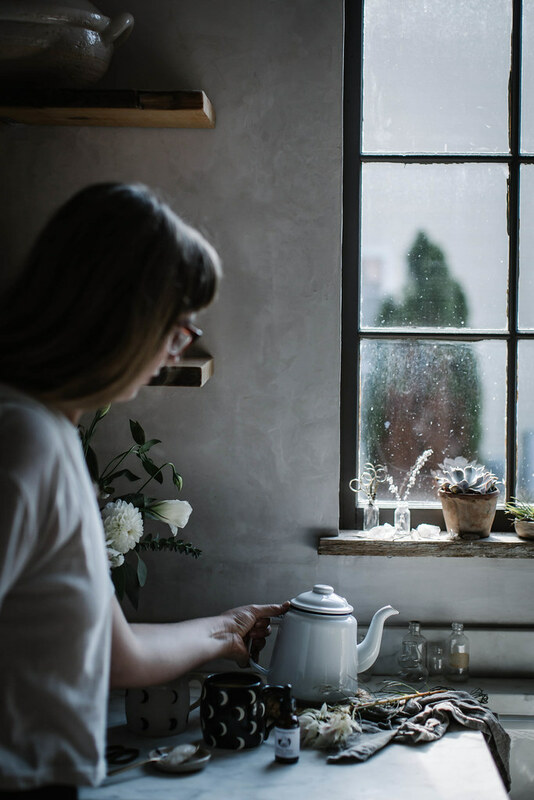 There was just one side effect I didn’t think about – I react very strongly to even small doses of ashwagndha as it makes me dizzy and sleepy and it worked even stronger for my fiancee who has never tried it before, making him very excited and agitated. 🙂 So today morning I made it with smaller amount of ashwagndha, dark chocolate instead of cocoa and rice milk, and although much different, it was still amazing. Your photos are gorgeous, so atmospheric. Do you use powdered turmeric (as in the kind you use in cooking) or turmeric root? I’ve also had adverse reactions to small amounts of ashwaganda, though it’s supposed to be a safe adaptogenic herb, and the amount of honey in this recipe seems pretty excessive too. Still, I’m going to try it with a few tweeks, because it looks delicious and warming, and just what I need on this cool, rainy day when I’m fighting a cold. Maybe I’ll substitute eleuthro for ashwaganda, add some cardamom, and two tablespoons of honey for half cup. This post is so beautiful and full of inspiration. Makes me want to live in Local Milk world. Hi I am not familiar with ashwagandha could you elaborate on this? I would love to try this recipe! Pingback: How to make golden milk: What it is & why you should try it. Pingback: The Hot Chocolate Cure? 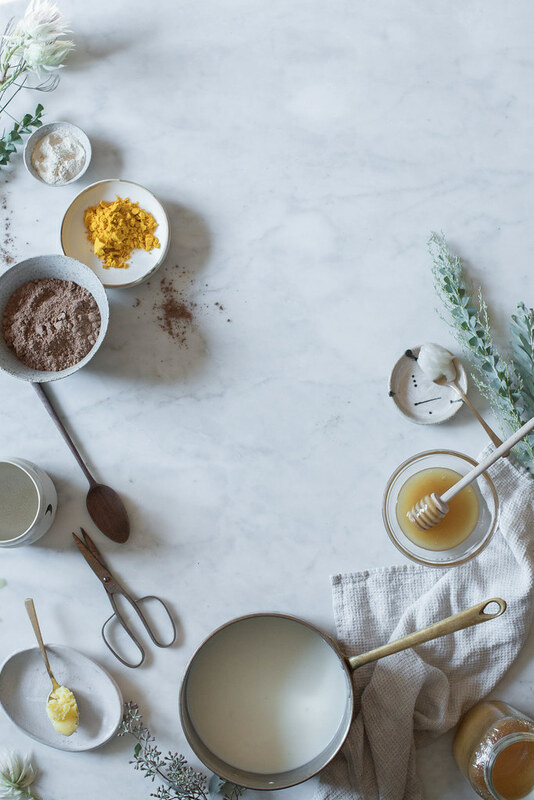 Functional Recipes For Every Ailment | Your News On Time! Must say, you have a very beautiful blog. This golden milk cocoa is something I heard it first time and I would definitely give it a try. An pictures in the looks so mesmerizing too. Dear Beth, I just discover your blog and love love love it. Thank you so much, photos and recipes are gorgeous. May I add just a little contribution? if you mix turmeric with black pepper, it’s efficiency will be more (1 portion turmeric + 1/4 portion black pepper). And also it’s effect will be more when you heat them.